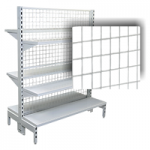 Slat panel display walls allow you to find the perfect balance between getting maximum stock on the floor and minimum obstacles for your customers. These neat fixed wall displays of slatwall panels give stores a visual boost and offer great flexibility, being compatible with traditional shelving and a range of accessory attachments. 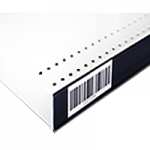 They suit any kind of retail environment, from budget stores to boutiques, and eliminate the need for cumbersome rack and rail displays pushed up against store walls. 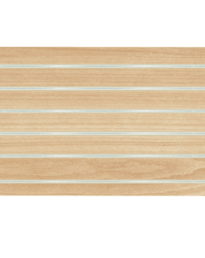 These slat wall systems come in several different colours and designs so you can choose one that fits in perfectly with your store décor and vibe. 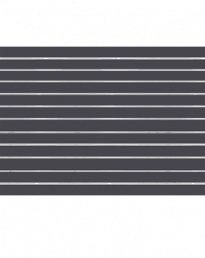 What are slat panel display walls? 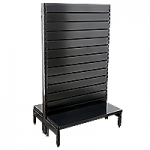 Slat panel wall units are medium density fibreboard (MDF) wood slat walls that fix onto the walls of your retail store to create instant usable display space. 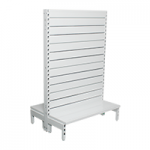 The wall units consist of slat panels that are separated by a series of horizontal grooves that are 100mm or 150mm apart. 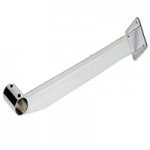 The grooves are lined with 1mm thick aluminium T inserts that can be fitted with a wide assortment of accessories such as traditional shelving brackets, metal hooks, hang rails and transparent acrylic bins. 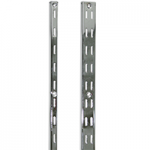 These accessories slip in and out of the grooves with ease and are held in place without the need for screws or any additional attachments, making the units highly practical. MDF is chosen for the slat boards as it is cost-effective and has a high strength to weight ratio, meaning that retailers can maximise the space on offer and get extra merchandise on show. The MDF used for these display panels is 18mm thick and finished with melamine in various different available colours and styles. 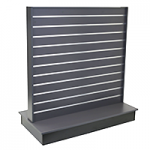 Slat wall displays are a popular solution with modern retailers. They allow for extra browsing space in smaller stores, while allowing larger chain stores and department stores the flexibility to come up with more creative and innovative store layout designs. 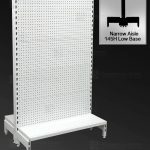 Where can slat panel display walls be used? 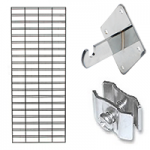 Hardware stores – can take advantage of the heavy load-bearing capacity of slat wall to display some of the heavier items. 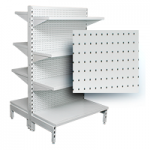 Items such as paint or container goods can be stacked on shelves, while packaged goods can be put on hangsell display using metal hooks or prongs. 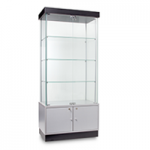 Fashion stores – can choose from a range of elegant panel designs including white, charcoal and golden beech, fitting accessories such as hang rails, faceouts or waterfalls to display garments using hangsell or fold them and place them on melamine shelves or individual acrylic stands. 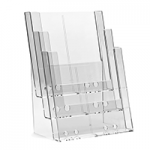 Electronic stores – slat wall units can be fitted with tailored acrylic shelves that are made to perfectly fit mobile phones, tablets and iPads. Packaged products can be placed on hangsell displays around the store. 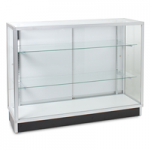 Discount stores – can take full advantage of the flexibility offered by slat designs, changing displays quickly to fit changing stock supplies. 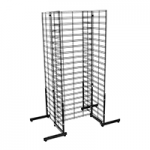 As slat wall displays enable more merchandise to be put on display while taking up less space, they are a cost-effective solution to stores that have a fast turnover and busy foot fall. 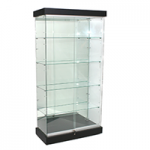 Newsagents – stock a diverse array of products that can’t all be displayed in one uniform style. 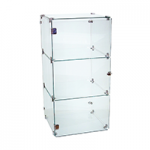 Can utilise various accessories for goods not suited to conventional shelving, such as metal hooks and prongs for packaged and packeted goods, acrylic bins for loose confectionery, angled shelves for magazines and newspapers, and acrylic holders for greetings cards. Shoe stores – can design an attractive “shoe wall” with individual shoe stands fitted in rows across the slat panels. Homeware stores – the maple or oak woodgrain designs can be used to great effect to display products such as ornamental goods on sleek glass slatwall shelves, packaged duvet sheets on hangsell hooks or bathroom mirrors on metal picture hooks. White – popular with electronics and computer stores. Silver – looks great in gift stores and art stores. 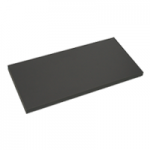 Charcoal – good for stationers and hardware stores. 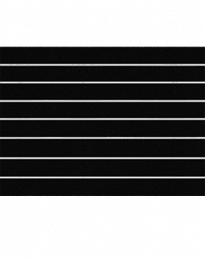 Black – perfect for creating a chic or gothic atmosphere in modern fashion boutiques or footwear stores. 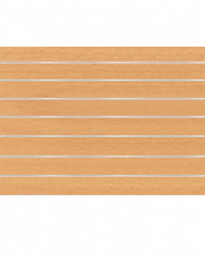 Golden beech – well-suited to clothing stores and sports stores. 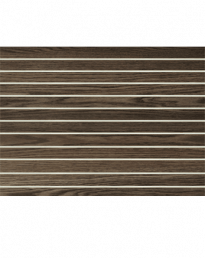 Oak woodgrain – great for outlets such as homeware stores. Maple – ideal for surf, skate and outdoor adventure stores. The panels come in two different sizes. 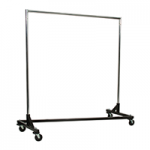 The 2400mm (width) x 1200mm (height) displays can be fitted side by side to create a complete wall display. 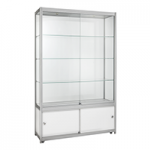 The smaller 1200mm (width) x 1200mm (height) units are perfectly suited for smaller contained displays or smaller retail outlets with more space restrictions. There is also a choice between different groove spacings. 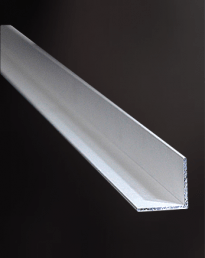 The most common designs have grooves that are spaced 100mm apart. 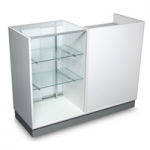 This allows for more flexibility and a greater quantity of products to be put on show. 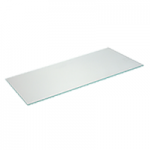 150mm spaced panels are also available. 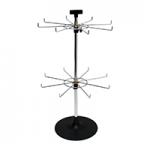 These are often chosen by stores that prefer to display fewer goods in a more spaced out fashion, allowing them to place extra focus on individual items on display. 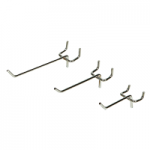 Hooks and prongs – used for hangsell of packaged or draped goods. 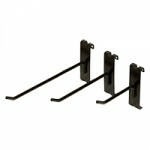 Available in different sizes and in a range of styles, such as loop hooks. 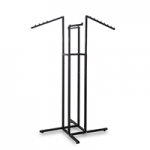 Hang rails – used for side-facing clothing displays and good if you have sizeable quantities to showcase. 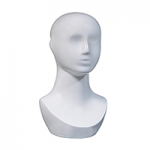 Faceouts – for front-facing garment displays that add extra visibility. 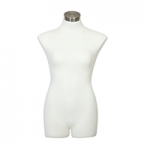 Waterfalls – angled and fitted with balls or pins for more organised front-facing garment displays. 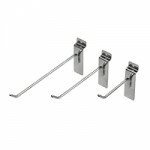 Picture hooks – small hooks that can be used to attach goods such as picture frames, clocks or mirrors to slat panels. 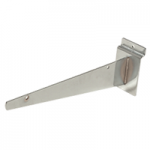 Slatwall brackets – shelving brackets for attaching conventional melamine or glass shelves. 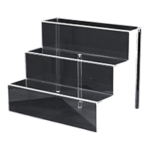 Flat shelves – available in different sizes, can be used for lighter or smaller items such as figurines or decorative gifts. 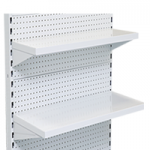 Angled shelves – slanted at angles towards the customer to give greater visibility to flatter products such as books, magazines or newspapers. 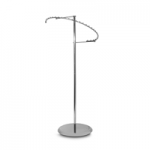 Shoe stands – small individual display stands for footwear products. 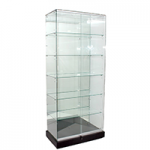 Display bins – great for individual small, loose or awkwardly shaped items such as fluffy toys or confectionery. 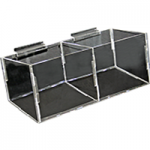 Available as individual bins or separated with up to 8 compartments. 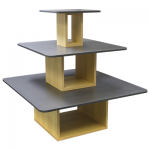 iPad/mobile phone stands – angled stands designed to fit mobile phones, electronic tablets and other similarly-sized gadgets. 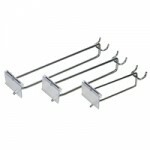 Greetings card racks – 3 or 4-tier stands for cards and similar goods. 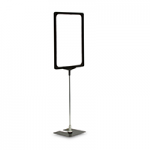 Brochure and sign holders – for promotional literature and store notices. 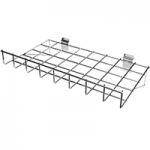 Mesh wire shelving – available as flat or angled shelving. 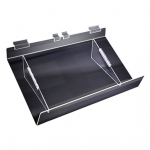 Perfect for products such as newspapers and magazines. 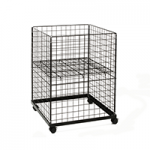 Mesh wire baskets – available in an assortment of sizes and depths. Great for loose or awkwardly-shaped products. 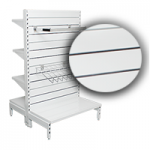 Practicality – the systems are easy to use for both customers and store owners. 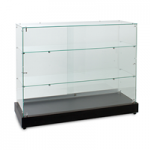 Once the walls have been fixed in place, you save a lot of time when it comes to assembling and rearranging displays. Durability – MDF panels are sturdy, can hold heavy loads and will will last a long time if properly looked after. 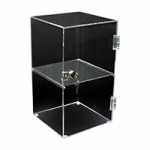 Flexibility – the vast array of accessories means that your options are virtually limitless when it comes to organising displays, meaning that you can tailor things to your needs. Attractiveness – available in an array of eye-catching colours, these slat walls can brighten up any retail environment. 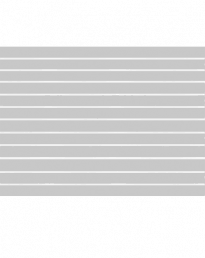 Affordability – products are made with low-cost materials so prices are kept low. Display walls are available from prices starting at under $80. 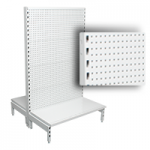 Economy of space – wall panels eliminate much of the need for containers, racks and rail displays taking up floor space, meaning extra browsing space for customers. 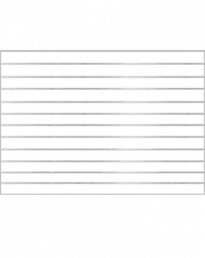 Looking for a reliable and affordable slatwall panel supplier? Shopfittings Direct supports retailers across Australia with high quality shop fitting solutions that help you market your goods more effectively. 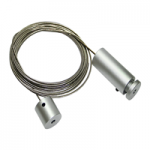 We supply all modern fittings at affordable prices. You can shop at our online store or visit us at our Sydney showroom. Call us on (02) 9608 5122 or email us at sales@shopfittingsdirect.com.au to get in touch.